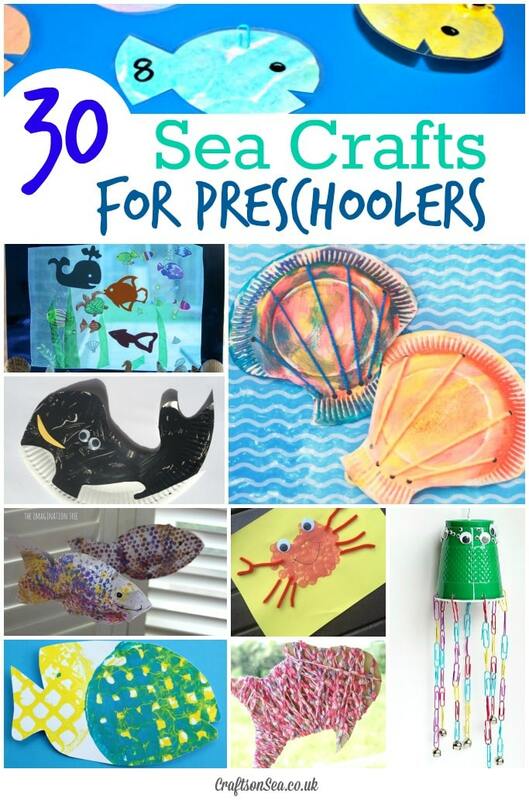 What with living near the seaside ourselves it’s hard not to be inspired and we love sharing fun sea crafts for kids! 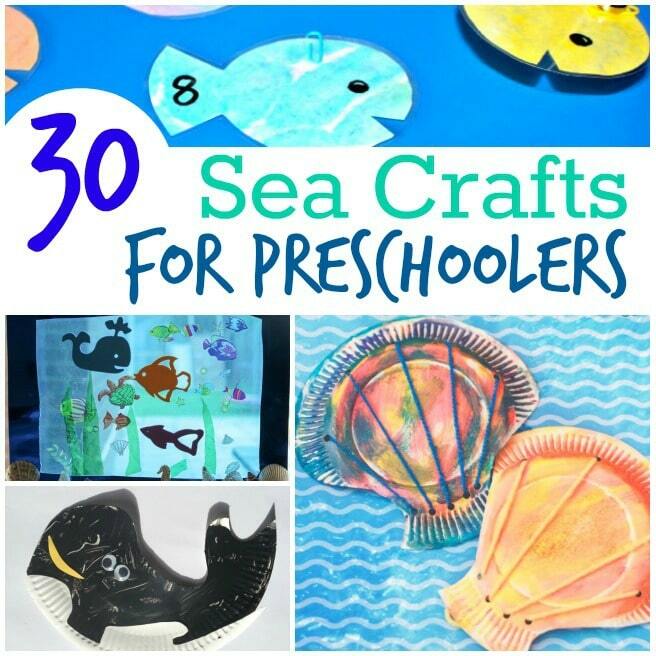 The crafts I’m sharing today are all perfect for preschoolers so are great whether you’re homeschooling, working in a preschool or just after having a bit of sea themed fun with your little one! Messy Little Monster’s magnetic fish game is a great way to learn about numbers too. This sea craft from In The Playroom works brilliantly as an open ended activity and is gorgeous as well. Paper plate seashells that are great for lacing practice too. The Imagination Tree shares this fun bubble wrap fish mobile. This dot painted crab from The Chirping Moms looks like loads of fun! I love these potato masher fish. Fantastic Fun and Learning share these sweet yarn wrapped fish. This jellyfish craft is great for fine motor skills. This under the sea diorama from Artsy Craftsy Mom is super sweet and it’s lovely to see all the different versions the kids made! Try fingerpainting for this under the sea craft. This octopus craft uses bubble wrap and looks lovely! Get kids to make their own snorkel with a view! A cute craft to do alongside learning about hermit crabs. This pretty ocean craft makes for great sensory play too. Buddy and Buggy’s octopus craft is great for fine motor skills too. Make a clay sea turtle. I love these sweet sweet sea shell puppets from Zing Zing Tree. Make a glow in the dark ocean bottle. Make this beautiful ocean waves discovery bottle. These seashell decorations are super simple to make.